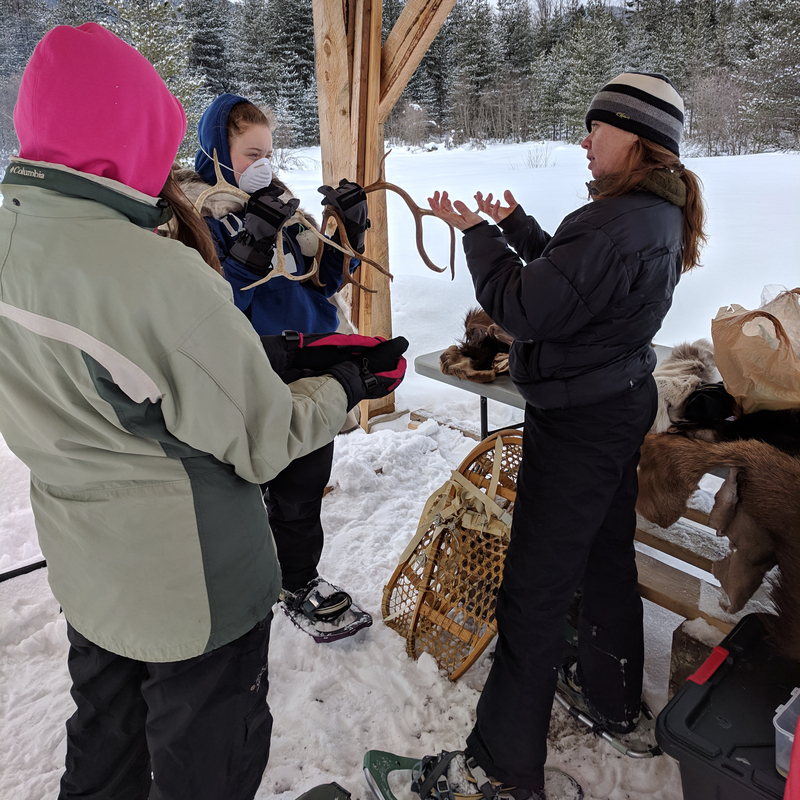 Kelly Miller teaches Clark Fork students about how caribou stay warm in the cold winter. 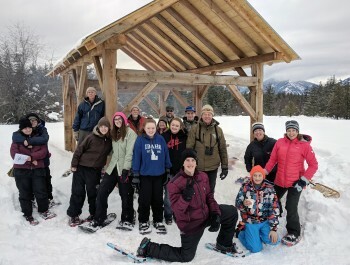 Students from Idaho, Montana, and Washington all got outside this winter thanks to the Winter Tracks program. Students from kindergarten up through high school learned all about the great outdoors during the winter. and even build a fire. Each year, volunteers make Winter Tracks a great time for students and teachers alike. Many of these volunteers come back year after year to teach, act as group guides, make sure the hot cocoa is ready on time, and even pick up coffee for the volunteers. Clark Fork High School students enjoying a day at “Judy’s Place.” Thanks to Kaniksu Land Trust for the awesome location! 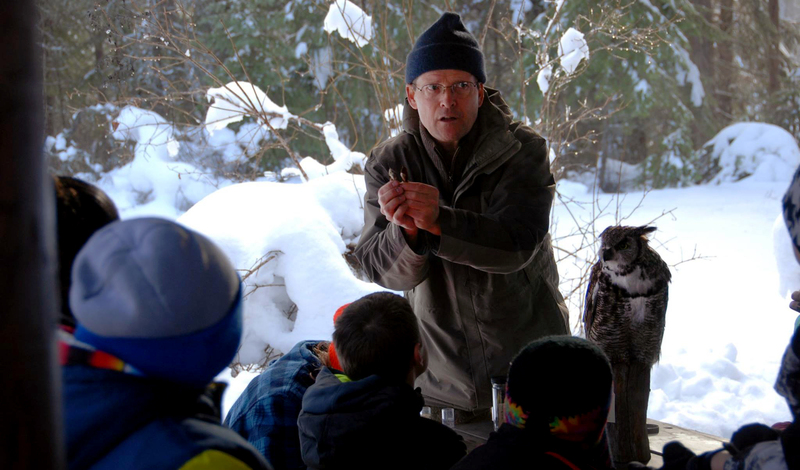 Gene Reckin teaching students about animal adaptations, with help from his owl. And it’s not just fun for the students. 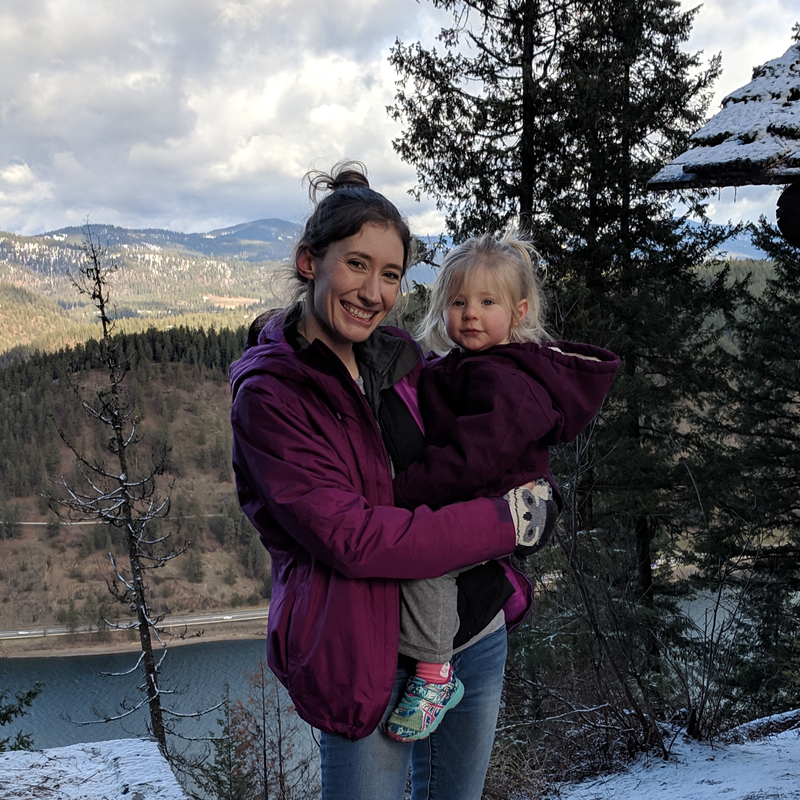 “Getting kids outside is not only fun for them, but me as well. This is such an important part of their education. I’m proud to be part of it.” – Gene Reckin, volunteer and retired science teacher. Do you want your school to participate or would you like to volunteer for Winter Tracks next year? Let us know!